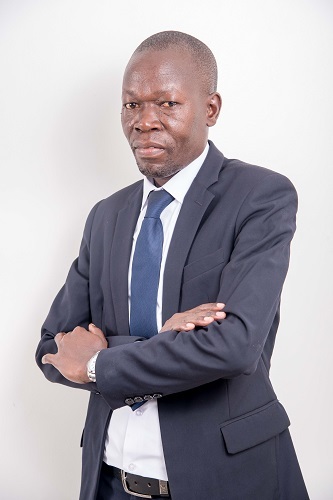 Kabiito Karamagi, currently the Managing Partner of the Firm, is an advocate of seventeen years standing, and specializes in corporate insolvency and restructures. As one of Uganda’s leading Insolvency practitioners, Kabiito has been at the centre of major corporate debt restructures and turnarounds in Uganda. He also served as a Government of Uganda Consultant on the reform of the laws governing Corporate, individual and cross border insolvency. 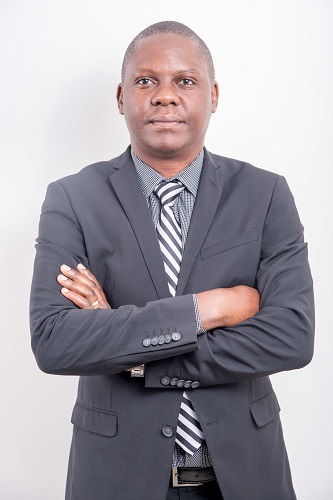 He is also an expert in leasing law and has been retained by the World Bank and the International Finance Corporation on numerous occasions to undertake various consultancy assignments on finance leasing in Rwanda and Cameroun. 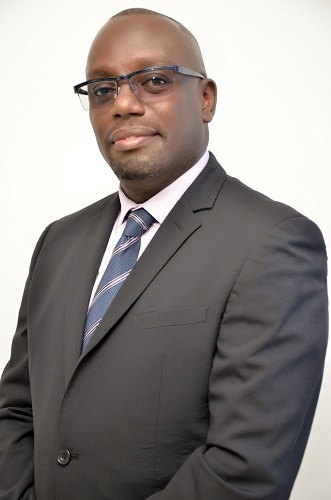 A seasoned and respected litigator, his wide experience includes representing financial institutions in creditor enforcement claims; serving as Lead Counsel of a consortium of lawyers and successfully representing the electricity regulator in the biggest regulatory dispute in Uganda; and successfully representing dissatisfied bidders for two of the largest infrastructure projects in Uganda. Kabiito is a Fellow of INSOL International. He holds a Bachelor of Laws Degree (LLB) Hons. from Makerere University, Kampala and Post Graduate Diploma in Legal Practice (DIP.LP) from Law Development Centre, Kampala. Kabiito was ranked Most Outstanding Insolvency Practitioner in Uganda. Rita is the Senior Associate with Ligomarc Advocates in the Insolvency and Restructures Department. She leads a team that advises on the full spectrum of insolvency, receivership, and administrative matters including complex contentious matters and related restructuring transactions. Under this mandate Rita is also accountable for the developing and implementing the departmental strategic plan which includes supervising a team of 10; client relationship management; and directly handling matters involving receiverships, liquidation and debt management. Rita also works with the Departmental Partner to handle consultancies relating to Insolvency. The most recent consultancy is on the Implementation of the Insolvency Act 2012. 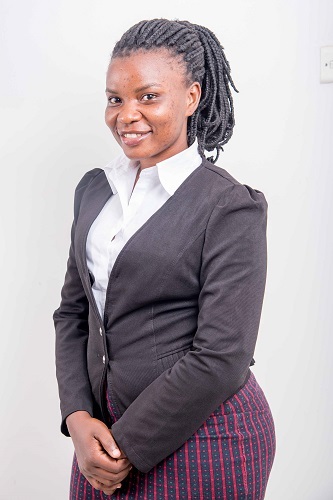 Rita also develops and conducts customized trainings for the Firm and its clients on Debt Management, Laws on Mortgage Act 2009 and Insolvency Act and RegulationsRita is currently pursuing a Master of Science in Finance and Financial Law from the University of London. 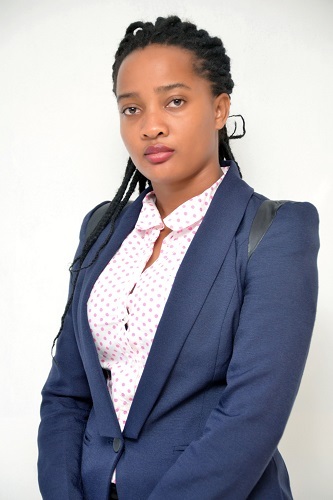 Ms. Tusasirwe Jonard is a Legal Assistant at the firm. She works with the Insolvency and Debt Workouts team.She holds a Bachelor of Laws degree from Makerere University and was awarded a Diploma in Legal Practice from the Law Development Center. Before joining Ligomarc Advocates, she worked with Daniel Mugisha & Co. Advocates. While at Ligomarc Advocates, she has advised on Employment laws and financing arrangements. 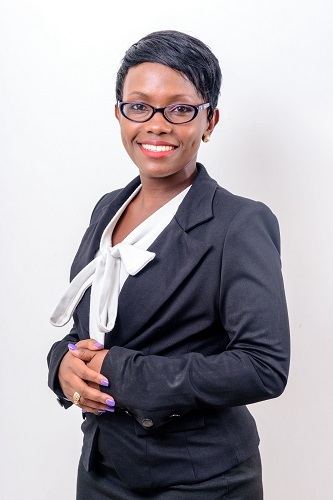 Ms.Tusasirwe Jonard has a keen eye for detail and offers solutions to complex corporate and commercial legal issues. She has attained a varsity experience in solving insolvency and litigation issues. Ms. Tusasirwe Jonard is a member of the Uganda Law Society and the East Africa Law Society. Kasami Paul Winyi is a Legal Assistant at the firm. He works with the Insolvency and Debt-Work-Outs team. He holds a Masters of International Business Law from the University of Ghent in Ghent, Belgium and a Bachelor of Laws degree from Uganda Christian University, Mukono, Uganda. While at Ligomarc Advocates, he has advised on the insolvency regime governing cross-border insolvency and voidable transactions. Through his masters’ study, Paul acquired insight and critical knowledge relating to the functioning of the international arbitration regime, a detailed knowledge of international sales law as well as critical evaluation of the international insolvency law regime. Paul was the Lead Researcher to the Receivers and Managers of Spencon Services Uganda Limited in respect of the impact of the administration proceedings instituted by Spencon Services Kenya Limited on the Receivership proceedings of the Company in Uganda. 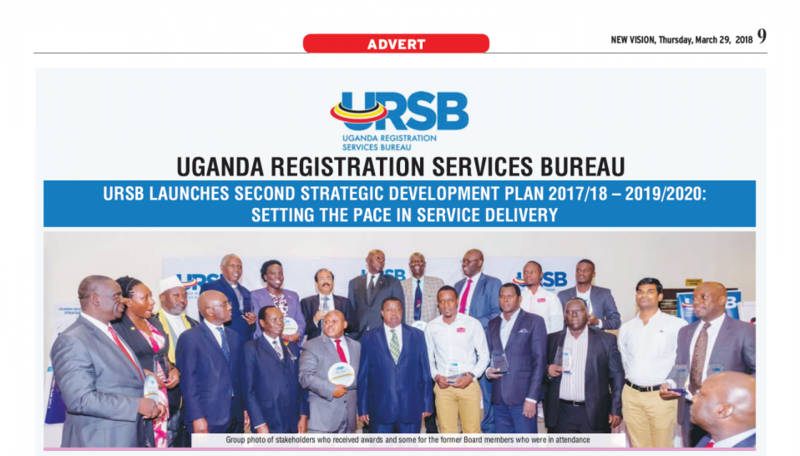 He was also the Lead Researcher and Advisor to the Receivers and Managers of Spencon Services Uganda Limited in respect of the setting aside of voidable transactions entered into by the Company and third parties. Rogers is a Legal Assistant at the firm. He works with the Insolvency and Debt Work-outs team. He holds a Bachelor of Laws degree from Makerere University and was awarded a Diploma in Legal Practice from the Law Development Centre. While at Ligomarc Advocates, he has advised clients on a range of cor­po­rate re­struc­tur­ing, equity swaps, receiverships, administration, rescheduling, investigations, asset-tracing, recoveries and insolvency litigation and re­or­gani­za­tion strate­gies. He has facilitated high level amicable settlements between debtors and creditors. Rogers has successfully handled both local and international Arbitration and Conciliation matters. He has a keen eye on areas of Block chain/crypto- currencies, mortgage realisation, small and medium enterprises financing and Islamic Banking. Rogers prides in providing innovative, timely and quality solutions to complex corporate and commercial legal issues. Rogers is a member of amnesty International, Uganda Law Society, a Volunteer at Nganzi Legal Aid Project and has received acclaim in the area of pro-bono legal service provision and a member of Toastmasters international. Jeremiah is a legal Assistant at the firm’s Insolvency and Business Restructuring department. His practice focuses on Commercial & Civil Litigation with particular expertise and interest in Debt Recovery, Insolvency law and Arbitration. He has been with the firm since 2016. 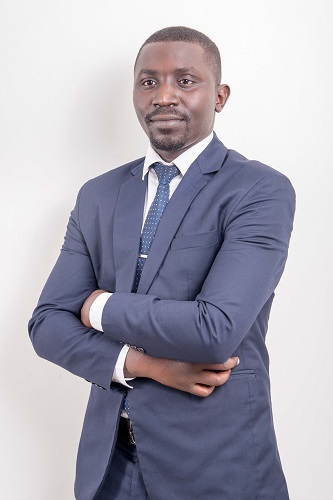 Jeremiah holds an LL.B (Hons) degree from Makerere University Kampala (MUK), a Post Graduate Diploma in Legal Practice from the Law Development Centre (LDC), and is certified to practice law in Uganda. Hadad has nearly three years of experience in clerkship and about one year in Insolvency practice. He has worked with several law firms like Kalenge Ssemambo and Co. 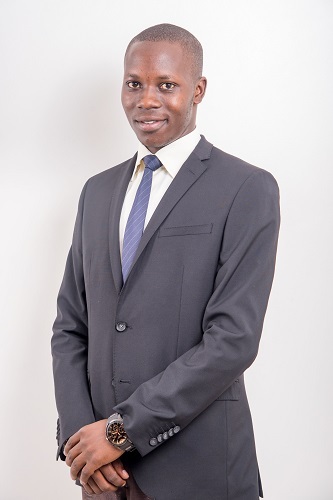 Advocates as a clerk and an intern at Buganda Road Court and has also worked with companies like Iftra on the Soya Bean Project which have given him a lot of experience in the field of Insolvency and legal practice. Hadad at Ligomarc is tasked with filing and following up on court cases, serve the court process, and the insolvency process like filing Notices of Appointment of Receivers/Managers and serving the same, and has since joining Ligomarc helped close various cases in the insolvency department in the court of appeal, high court and all the courts subordinate thereto. Hadad has a diploma in law from the Law Development Centre and is currently pursuing a Bachelors degree in Law at the Islamic University in Uganda. Bachelor’s Degree holder with over 15 years work experience in both public and private sectors covering: debt collection,business growth and development, compliance and staff management. 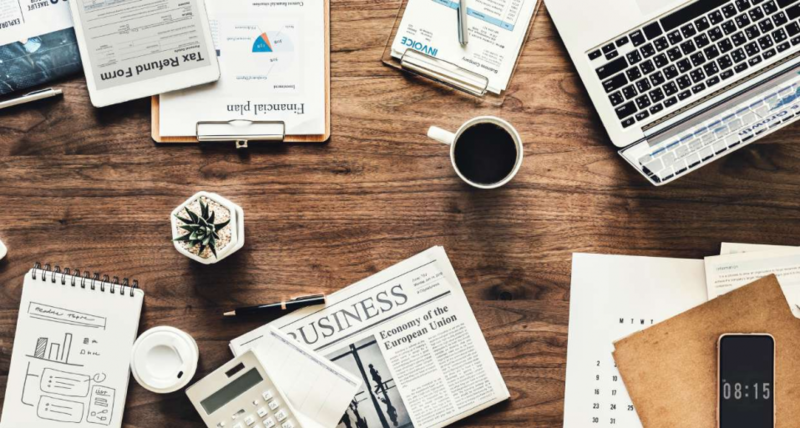 Godfrey’s role at Ligomarc entails among other things, understanding the business of the Firm’s Clients, devising means to recover secured and unsecured outstanding debts on behalf of the Firm’s clients in the financial, service, and private sectors. 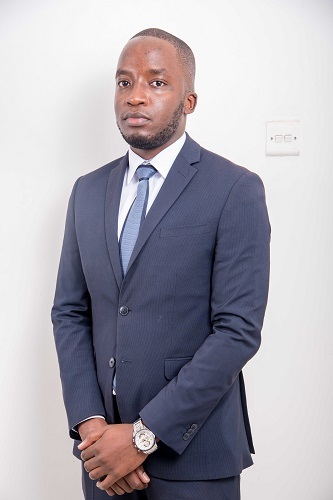 He gained the bulk of his experience in debt recovery from having worked as a Banker with Nile Bank for over 6 years as an Operations Manager, where he had to interact with a variety of clients. He joined Ligomarc Advocates in 2008 as the Assistant Receivership Manager charged with overseeing the operations of the companies under receivership with the aim of paying back bank loans in liaison with Client Banks. In 2012 he was appointed as Manager, Corporate Recoveries managing a debt portfolio of over Uganda Shillings 10 Billion through a collection team of 5 Recoveries Officers. Godfrey holds a Bachelor’s Degree in Social Administration from Makerere University and has been widely trained in Customer service, Employee Resilience, Financial Literacy, Credit Analysis and Relationship Management. 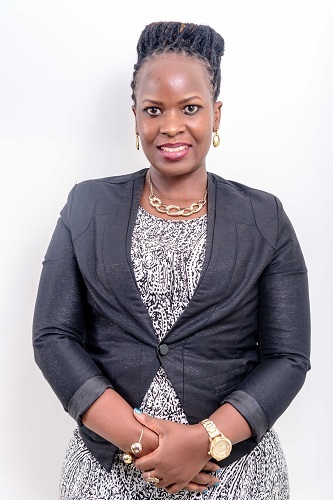 Vivienne Holds a Diploma in Information Technology in Science from Uganda Institute of Information & Communication Technology and has also gained a wide experience in Client Service delivery, Client Relations & Communication, Business Management with an Entrepreneurial skills mind set. With 10 years’ work experience in both public and private sectors covering: Customer care, business growth and development, with an IT background, she also has vast knowledge and experience in debt recovery. Before joining Ligomarc Advocates, she worked with Transnet (U) Ltd as an Administrator where she was tasked with administering on behalf of the directors, customer care, cashing and banking plus overseeing the general operations of the company. 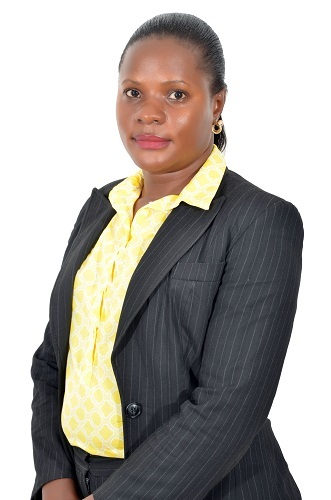 Catherine Tracey Kaggwa is Corporate Recoveries Officer at the firm. 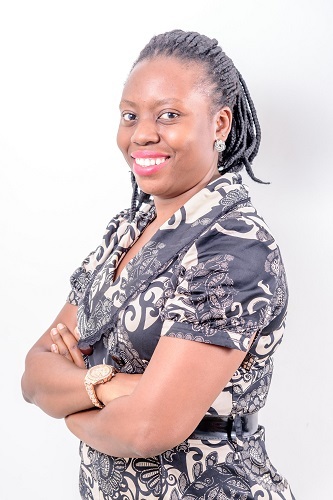 She works with the Insolvency and Business Restructuring team.She holds a Master’s in Business Administration Finance from Makerere University Business School Kampala, a Bachelor’s Degree in Urban Planning from Makerere University and a Certified Public Accountant. Before joining Ligomarc Advocates, she worked with Ministry of Education and Sports, Namutidde Accountancy Services & Askar Company. While at Ligomarc Advocates, she has worked on Receiverships and Corporate Recoveries. Catherine Tracey Kaggwa has a keen eye on Financial and Turn around issues. She is a member of the Institute of Certified Public Accountants. Catherine was the Lead transaction adviser for FOL Uganda on the acquisition of the 10,000 acres of land. Bruce Ankunda is a recoveries officer with the Insolvency department. He is currently under retail recoveries department. He holds a Bachelor’s Degree, Science Information and Technology from Uganda Martyrs’ University. Before joining Ligomarc Advocates, he worked with Nakasero Hospital Limited for nearly two years as a customer care officer. He had the honor to serve Ugandan citizens during the National Security Information System exercise currently under the National Identification and Registration Authority. His I.T techniques were employed as an Enrollment officer during the exercise. In 2015, Bruce was awarded best customer care officer while at Nakasero Hospital for his outstanding service and care with both clients and fellow colleagues. Peace is a corporate recoveries officer at the firm. She works with the Insolvency and Business Restructuring team. She holds a Bachelors degree in Arts in Social Sciences at Makerere University, a Certificate in Administrative Law at Faculty of Law, Makerere University. While at Ligomarc Advocates, Peace handles Corporate Recoveries where she handles compliance with clients, devising means to recover secured outstanding debts, selling of mortgaged properties on behalf of the Firm’s clients in the financial, service, and private sectors. Her day to day tasks involve contacting debtors, skip tracing, advertising and selling of mortgaged properties and implementing repayment schedules and plans, maintaining confidentiality of the company and customer information, adhering to customer policies and procedures, and where necessary recommend legal action against the debtors. Peace has 3 years experience in debt recovery. Mai is a Recoveries Officer at the firm working with the Recoveries and Insolvency Team. She holds a Diploma in Business Computing from Datamine Technical Business School. Before joining Ligomarc Advocates, she worked with Collection Africa Limited and has 3 years’ work experience in Debt Recovery. While at Ligomarc Advocates, she handles Retail Recoveries where she handles compliance with clients, devising means to recover unsecured outstanding debts on behalf of the Firm’s clients in the financial, service, and private sectors. Her day to day tasks involve contacting debtors, skip tracing and implementing repayment schedules and plans, maintaining confidentiality of the company and customer information, adhering to customer policies and procedures, and where necessary recommend legal action against the debtors. 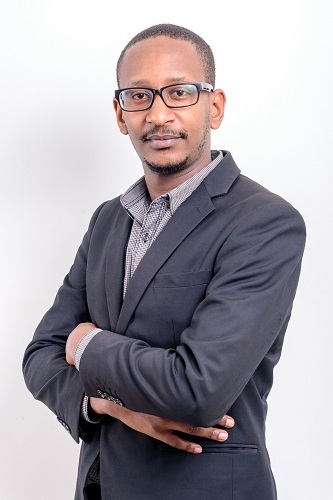 Sakwa is an investigator in the firm, He holds a Bachelor of Laws degree from Islamic University in Uganda and was awarded a Diploma in Legal Practice from the Law Development Centre. 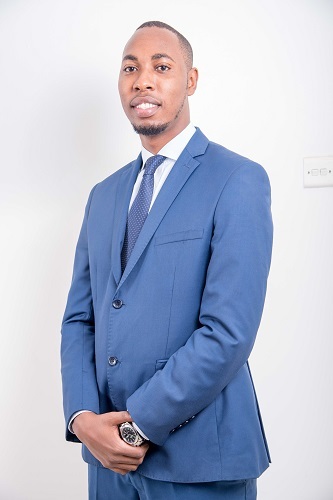 Before joining Ligomarc Advocates, he worked with Uganda Police Force majorly as an Investigator, While at Ligomarc Advocates, he has advised on Forensic Accounting and Fraud Investigations. Sakwa has a keen eye for detail and offers solutions to complex corporate Fraud and commercial legal issues. Sakwa has handled complex fraud cases on behalf of the client Stanbic Bank.